HORIZON INSTRUCTIONAL SYSTEMS CHARTER SCHOOL. Charles Marson, Administrative Law Judge (ALJ), Office of Administrative Hearings (OAH), State of California, heard this matter on November 15, 16, and 17, 2011, in Sacramento, California. F. Richard Ruderman, Attorney at Law, represented Student. Student’s Mother was present throughout the hearing. Student’s Father was present during parts of the first and last days of the hearing. Student was not present. Marci Gutierrez, Attorney at Law, represented the Horizon Instructional Systems Charter School (Horizon), assisted by Jessi Carriger, Attorney at Law. Horizon was represented by Diane Youtsey, its Special Education Administrator, who was present throughout the hearing. Student filed his second amended request for due process hearing on September 20, 2011. At the hearing, oral and documentary evidence were received. At the close of the hearing, the matter was continued to December 16, 2011, for the submission of closing briefs.1 On that day, the record was closed and the matter was submitted for decision. 1 For clarity of the record, Student’s brief has been marked Student’s Exhibit 18, and Horizon’s brief has been marked Horizon’s Exhibit 57. Failing to address his mobility training issues? Student contends that the transition plans and services in his individualized education programs (IEP’s) for his junior and senior years failed to address his needs in the areas of independent living skills (especially mobility), vocational training, and community experiences including employment. He also contends that his IEPs failed to include goals addressing all his areas of transitional needs, and included some goals that were vague, lacked adequate baselines, and were immeasurable. Horizon contends that its IEPs addressed all of Student’s needs for independent living skills training, vocational training, and vocational and community experiences, and that all of Student’s goals were measurable and appropriate. It also contends that the simulated employment experiences it provided in the office of Student’s transition teacher satisfied legal requirements for the provision of community experiences. Horizon further contends that, since Student was enrolled in its homeschool independent study program, Mother was his principal teacher and was partly responsible for ensuring that his transition plan was fully implemented. 1. Student is a 17-year-old boy who is eligible for and receiving special education and related services under the primary category of autistic-like behaviors and the secondary category of speech and language impairment. He resides with his Mother in Elk Grove, California, within the geographical boundaries of the Elk Grove Unified School District (EGUSD). His cognitive capacity is reported on some tests as close to the borderline of intellectually disabled, but his achievement scores are significantly higher than those tests would indicate. By all accounts Student is polite, friendly, and hard-working. He is expected to graduate with a diploma in May 2012. He can hold a job and may go to community college. 2. Student attended EGUSD schools through the sixth grade. In August 2006, Mother enrolled him in Horizon’s homeschool independent study program, its principal program. Horizon is an independent charter school and a local educational agency (LEA) responsible for providing special education and related services to its eligible students. It is based in Lincoln, Placer County, California, and has physical facilities in Lincoln, Roseville, Elk Grove, and other communities. 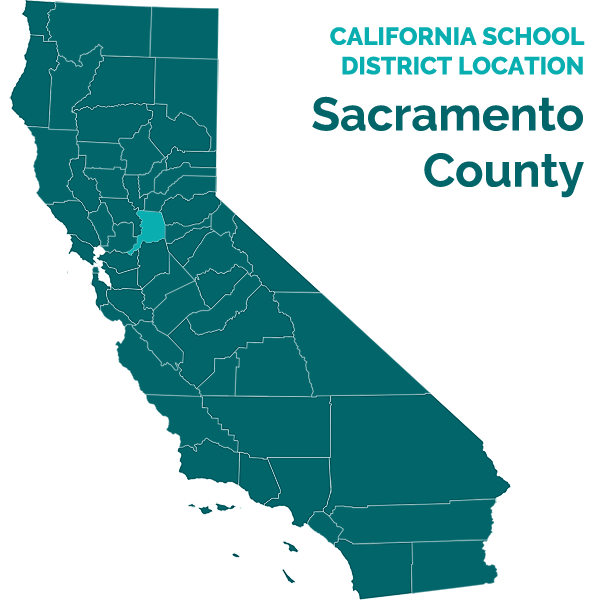 It serves students from Placer and contiguous counties who are enrolled voluntarily by parents. 3. Student was 16 years of age on February 5, 2010. The IEP then in effect is not part of this dispute. The IEP’s of April 2010 and April 2011 are disputed, and the SYs 201011 and 2011-12 (to the date of hearing) comprise the relevant time period in which Student asserts Horizon failed to provide him a legally sufficient transition plan or services. 4. Beginning not later than the first IEP to be in effect when the child turns 16, or younger if determined appropriate by the student’s IEP team, and updated annually thereafter, a student’s IEP must include appropriate measurable postsecondary goals based upon age-appropriate transition assessments related to training, education, employment, and, where appropriate, independent living skills. It must also include transition services (including courses of study) needed to assist the child in reaching those goals. Among other things, the transition plan must include exposure to vocational and community experiences, and, if appropriate, training in independent living skills. 5. On April 14 and May 24, 2010, Student’s IEP team met to craft a new IEP (the April 2010 IEP), including a transition plan, to govern the SY 2010-2011, his junior year.2 At the May session of the IEP team meeting, Horizon introduced Annette Darling, an experienced Resource Specialist Program (RSP) teacher, as Student’s “transition teacher” and the person who would take the lead role in implementing Student’s transition plan. Ms. Darling told Mother of various plans she had for Student’s transition training and experiences. 2 The designations “junior year” and “senior year” are inexact and used here for convenience only. Some special education and services under Student’s April 2010 and 2011 IEPs were scheduled to begin immediately. Others were to begin at the start of the next SY. The April 2010 IEP addressed the 2010 extended school year (ESY) and the April 2011 IEP addressed the 2011 ESY. 6. Student had a goal in his previous IEP for learning to ride the elevator, which he had not met by the time of the April and May 2010 IEP team meetings. The April 2010 extended that goal, but did not propose additional goals for or otherwise address Student’s mobility needs. There was no evidence that Horizon provided Student any mobility training during his junior year. 7. Horizon now argues that Student had no mobility needs during his junior year, and that mobility training only “became appropriate” in his senior year. Horizon’s claim that Student, a 16-and 17-year-old junior in high school in a large California suburb, had no need to move independently about his community does not represent a decision of his IEP team and is contrary to the evidence. 9. Mother testified about Student’s needs for training in mobility and other kinds of independent living skills. Her testimony was thoughtful, careful, and never overstated. She readily conceded facts that did not support her position. Extensive cross-examination did not reveal any significant weakness or contradiction in her testimony, and the documentary evidence and testimony of other witnesses confirmed her testimony in all important respects. Mother’s testimony is therefore given substantial weight here. 10. Mother’s testimony established that at all relevant times Student has been totally dependent upon her for transportation, as he cannot drive and does not know how to take the bus. Consequently, Mother has had to drive Student everywhere he goes, such as to school, special education services, volunteer opportunities, paid work, social and community events, stores, recreation, and other places and events. 11. Rodger Stein testified about Student’s skills and needs as an expert on transition plans and as someone who knows Student. Mr. Stein has a master’s degree in psychology and owns Behavior Analysis and Training in Sacramento, through which he provides behavioral assessments and training to behaviorists statewide. He was previously the Director of School Intervention of Applied Behavior Consultants in Sacramento, where he designed behavioral interventions for disabled students. He is an adjunct professor of psychology at Los Rios Community College, where he teaches child development, and an instructor at the University of California, Davis, where he instructs professionals, paraprofessionals, and parents in autism spectrum disorders. He has published numerous papers in his field and has a wide variety of experience, over 15 years, in teaching about and working with autistic students, including transition planning. 12. In January Mr. Stein will begin teaching a Transitions for Youth class for University of California at Davis Extension, which is designed for study of the transition needs of students who are relatively high functioning on the autism spectrum. As his textbook, he will use Transition to Adult Living, an information and resource guide published in 2008 through the California Department of Education (CDE Best Practices), which sets forth the best practices for transition plans and services for disabled students. The guide was introduced in evidence and was relied on by both parties. Mr. Stein also has extensive experience attending IEP meetings and helping IEP teams design transition plans. 13. Mr. Stein has been acquainted with Student for most of Student’s life. He first observed Student in kindergarten and worked with him over three months, at the request of EGUSD, for the purpose of preparing a report on the adequacy of Student’s educational program. Through his involvement in the Elk Grove community of autistic students and their parents, Mr. Stein has followed Student’s growth since, seeing him at school sites and in the Elk Grove community on various unplanned occasions. Shortly before hearing, Mother asked Mr. Stein to observe Student in the home to evaluate his skills and needs. Mr. Stein did so for three hours on that occasion, re-introducing himself to Student, reviewing some of Student’s IEPs and evaluations, asking Student about his interests and skills and his work and school experiences. He reviewed Student’s April 2010 and April 2011 IEPs, as well as a progress report from Ms. Darling. He interviewed Mother. He learned, for example, that Student could not independently write a check, though Student claimed he could. He learned that Student is able to shower independently but needs a lot of prompting to complete other daily acts of hygiene. He learned that Student can neither drive nor take the bus. 14. Mr. Stein was also a persuasive witness. He confined his testimony to his areas of expertise, answered questions thoughtfully, displayed substantial sophistication in matters relating to independent living skills, and did not display any significant weakness in his opinions on cross-examination. Mr. Stein’s testimony is also given substantial weight here. 15. Horizon now argues that Mr. Stein’s testimony should not be considered persuasive because he did not review every one of Student’s IEPs and transition-related assessments. However, he reviewed the most important ones, and Horizon does not identify anything in the other documents that is inconsistent with Mr. Stein’s testimony. His testimony is relied on here not for analysis of Student’s records but for Mr. Stein’s first-hand impressions of Student’s skills and needs over the years and for his practical experience with transition plans for autistic students. 16. Horizon also argues that Mr. Stein’s testimony should be disregarded because he allegedly testified that to have “professionally sound opinions and recommendations” he would have to conduct an assessment of Student that would take approximately 25 to 30 hours, and had not done so. This mischaracterizes Mr. Stein’s testimony, which was that if he were going to design a program for Student he would begin by spending 25 to 30 hours observing Student to determine precisely what his skill levels are. Mr. Stein recognized that professionally responsible recommendations of the number of hours needed to increase Student’s skill levels would have to await such observations, but testified that the initial observations he made at hearing were appropriately made based on his fifteen years of experience with autistic students. The tentative nature of Mr. Stein’s opinions, and his frank recognition that he would need more information to design a specific program, properly reflected the incomplete nature of his information and reinforced rather than undermined his credibility. 17. Most importantly, as explained in more detail below, Mr. Stein had significantly more knowledge about Student’s current skills than Horizon does. The evidence showed that no one at Horizon has ever observed Student off campus for the purpose of measuring his skills. 18. Mr. Stein’s testimony confirmed that Student has a pressing need for training in taking the bus, and that mobility training was therefore appropriate for inclusion in his IEPs in both his junior and senior years. Specifically, Student needs to be taught how to read a bus schedule, how to identify the right bus to use, how to get on the bus and pay for his trip, where to get off the bus, what to do when the unexpected occurs (for example, when the bus misses his stop or must detour around a closed road), and how to respond to the approaches of strangers along the way. He knows none of these things now. Horizon introduced no evidence to contradict these facts. 19. The evidence showed that during his junior year Student, even though engaged in home study, was required to go, among other places, to a volunteer job in a local library during the academic year, a Horizon facility in Roseville for career awareness instruction and speech and language therapy, and a job in a store in Elk Grove during late May and June 2010. He was completely dependent upon Mother for transportation to and from those places and many others. 20. In short, the evidence showed that, during his junior year, Student frequently needed to move about his own community, and even to Roseville, to receive special education and related services, to appear at work, and for many other reasons. His need for mobility training was substantial, obvious, and well known to Horizon at all relevant times.3 Horizon’s failure to instruct him in mobility was significantly detrimental to his education, the development of his independent living skills and his personal freedom, and denied him a FAPE in his junior year. 22. The principal flaw in Student’s April 2011 mobility goal was that it addressed only one of the many mobility skills he needs to acquire. Student had approximately the same mobility needs in his senior year as he did the previous year. As Mr. Stein explained, Student needs not just to learn to read a bus schedule; he needs to learn in the field how to get on and off the right bus at the right places, pay for his ride, and deal with the unexpected. His 2011 mobility goal addressed none of those needs. 23. Horizon did not properly implement the inadequate mobility goal in Student’s April 2011 IEP. Horizon’s only effort this far in his senior year to increase Student’s mobility occurred one week before the hearing, when Ms. Darling showed him a Roseville bus schedule on a computer. There was no testimony that a trip was planned, an act that the goal requires. 24. Moreover, learning to read a Roseville bus schedule does not teach Student how to read a bus schedule in his own community. Mr. Stein established that bus schedules vary considerably from place to place, and are visually presented in varying ways, usually with different color coding and the like. He credibly testified that understanding a Sacramento bus schedule, for example, would not mean that Student could understand an Elk Grove schedule. 25. Horizon argues that reading a Roseville bus schedule will teach Student the “concepts of public transportation,” which he can then apply anywhere. By that reasoning any English-language bus schedule could be used. But traveling by bus is not a conceptual activity; it is intensely practical. Student cannot learn just from a bus schedule all the things he needs to know to ride the bus; he must be able actually to do it in the field. 4 The April meeting produced a complete IEP, which Mother signed. The May meeting reproduced that IEP with additions, and Mother also signed that document, though she noted some dissenting views. 27. For the above reasons, Horizon’s failure to provide Student an appropriate mobility goal in his senior year, its failure to implement the mobility goal it did provide, and its failure to provide any substantial or useful training in riding the bus were significantly detrimental to Student’s education, the development of his independent living skills and his personal freedom, and denied him a FAPE in his senior year up to the time of hearing. 28. A central difficulty in evaluating Horizon’s provisions for Student’s independent living skills is that Horizon has almost no information about those skills. The law requires that transition goals be based on age-appropriate assessments. Student does not allege in his complaint that Horizon failed to obtain age-appropriate assessments, so that issue is not addressed here. Student does contend; however, that Horizon’s lack of current information about Student’s skill levels made it impossible for Horizon to adequately address his practical needs in his IEPs. 29. In 2008, the District’s school psychologist Laura Blackburn conducted a psychoeducational assessment of Student for his triennial IEP meeting. Her assessment primarily addressed developmental, behavioral, and academic issues, but it included a test of executive functioning on which Student displayed significant difficulties. Ms. Blackburn testified at hearing that Student’s daily living skills were “absolutely” an area of deficit in which goals should be written for him. Student’s 2008 triennial assessment included an assessment by speech and language pathologist, Suzanne Seiler, but that assessment did not consider his daily living skills. 30. At some time near Student’s 2008 triennial assessment, Horizon administered the Vineland Adaptive Behavior Assessment Scales, Second Edition (Vineland II), which contains a component measuring daily living skills such as dressing and showering. Standardized scores on the Vineland II correlate roughly to IQ scores. Student’s score for daily living skills was 61, which the parties agree is low. 31. Since 2008 Horizon has made no significant effort to understand the limits of Student’s independent living skills, and the efforts it has undertaken relied almost entirely on Student’s self-reporting. Shortly before the April 2010 IEP, Student completed the Career Occupational Preference System Interest Inventory -Intermediate (COPS-II) and reported an interest in the arts, but that survey did not inquire into his independent living skills. Shortly before the April 2011 IEP meeting, Ms. Darling had Student complete the South Dakota Interest Survey, on which he again reported an interest in the arts, but that survey does not address independent living skills either. Ms. Darling also had Student complete the Green Dot Interest Survey, which did not ask generally about daily living skills but did ask Student to rate his ability at general shopping and money management. In answer to that question he rated himself at “0.” In addition, Ms. Darling had Student complete a “transition developmental checklist” that was not introduced in evidence, on which he claimed to be able to complete “advanced home chores,” but the definition of that term was left up to him. The Green Dot reporting form has columns for answers from the student, a parent, a teacher, and an additional service provider, which are then supposed to be averaged. Ms. Darling left blank all the answer columns except the one for Student. 32. Although Horizon rates Student’s autism as “severe” and his cognitive capacities as “borderline,” and notes that his highest career aspiration is to become one of the characters acting at Disneyland, Horizon has assumed that Student is a realistic reporter of his own skills. Ms. Darling testified that in her opinion his self-reported independent living skills were “consistent” with what she had seen of him in her office. However, she has never seen Student outside that context. Mr. Stein, on the other hand, has had significantly more exposure to Student in the real world, and testified that in his opinion Student is not a reliable reporter of his own skills. Mr. Stein noticed that Student claimed, for example, that he was able to fill out a bank check, but was in fact unable to do so. Ms. Seiler’s 2008 speech and language assessment reported that Student “will tell the listener he understands to avoid embarrassment,” and that his desire to fit in or be liked “often leads him to embellish the truth or provide fictional information.” Mr. Stein persuasively suggested that some of these discrepancies are due simply to young male pride. The preponderance of evidence showed that Student’s estimate of his own daily living skills is unreliable and cannot furnish an adequate basis for designing a transition program. 33. No Horizon employee has ever evaluated Student’s independent living skills off campus. Ms. Darling has never been off the campus with Student, and Vicki Hilliard, the general education teacher who visits Student in the home every 20 school days, does so only to check on the delivery of his general education curriculum, not to observe him for any other purpose. Ms. Darling candidly testified that she knows nothing about Student’s independent living skills and does not know whether they constitute a significant area of deficit. She could not explain why they are not addressed in his IEPs; she guesses only that they may not have been perceived as an area of need. 34. The April 2010 IEP noted that Student has significant impairments of executive functioning, drawing that information from the 2008 triennial assessments. That assessment information was characterized in the IEP as part of Student’s PLOPs, although at that point it was two years old. The April 2011 IEP again noted in listing Student’s PLOPs, from the same source, that he had significant impairments of executive functioning, although by then the 2008 assessments were three years old. 35. At the April 2010 IEP team meeting, Mother asked that the conversation focus on life skills. However, the spaces on the April 2010 IEP for listing Student’s transition goals and activities relating to independent living skills were left blank, and the IEP did not address those skills. 36. A few of Student’s April 2010 academic goals could arguably have contributed to his daily living skills. But the evidence showed that Horizon’s significant lack of current information about Student’s skills rendered its statement of his PLOPs in those goals, and therefore the baselines in the goals, too vague to be useful. Frequently the goals themselves were too vague to be adequately implemented. 37. For example, one of Student’s 2010 math goals addressed making change from a purchase. However, the goal was vague and immeasurable; it simply stated as a baseline that Student is “working on word problems,” and set as a goal that when given change, Student would determine its correctness with 90 percent accuracy in two of three trials. The baseline provided no yardstick to measure progress and had little or nothing to do with the goal. There was no way for someone implementing the goal to tell whether Student could make change for three $20 bills or only for a quarter, or whether to start instructing him at either of those levels. 38. The same baseline (“working on word problems”) was stated in another math goal, which required Student to “stay within” a sample budget, “covering all expenses” with a specific amount of wages, with 90 percent accuracy in two of three trials. The goal itself may (or may not) have been administrable, but it had nothing to do with the baseline. Ms. Blackburn testified that objective measurements of Student’s skills in these areas were contained in Student’s progress reports in “our database system.” However, the Individuals with Disabilities in Education Act (IDEA) require that a student’s PLOPs be in the IEP itself. By During role play scenarios [Student] will demonstrate appropriate self-advocacy skills in the workplace to include how to communicate his needs learning styles and who take instruction from as well as how to appropriate [sic] refuse inappropriate requests without teacher support in 3/4 opportunities as measured by teacher observation. Putting aside the syntax and the phrase “learning styles and who take instruction from,” there is no way for anyone implementing this goal to evaluate what is appropriate and what is not, or to know the level of difficulty at which Student should be asked to perform. 41. One of Student’s 2011 math goals proposes that Student “have an understanding of money in a bank, withdrawals and deposits” with 80 percent accuracy in two of three trials, but its baseline states only that Student “can work on a budget.” There is no clear connection between the baseline and the goal, nor can measurements of progress be made from the baseline. Another of his math goals requires, without more, that he “calculate change” with 80 percent accuracy in two of three trials. The baseline of that goal states only that Student can add, subtract, multiply and divide when dealing with money. As these goals illustrate, several of the goals that affected Student’s daily living skills were based on inadequate information, were vague or immeasurable or both, and were therefore out of compliance with the IDEA. 42. Notwithstanding the relative lack of information about Student’s daily living skills, evidence in the record identifies some areas in which he needs substantial assistance. Mother testified that Student had to be helped in opening a real bank account, and cannot write a check independently. He could probably walk to a supermarket, but could not buy groceries and bring them home. He could easily get distracted or lost, especially if a stranger approached him. He is easily overwhelmed by new developments. He needs to learn to advocate for himself. 43. After observing Student in the home and questioning him and Mother, Mr. Stein formed the opinion that Student also has significant needs in the area of personal hygiene. He can shower independently, but cannot perform the other daily chores of personal hygiene without significant prompting. In addition, he cannot yet handle money in the real world (although as explained below Mother has taught him some skills in that area). And he needs significant assistance in the area of self-advocacy. According to Mr. Stein, Student may have other needs for training in daily living skills, but neither he nor Horizon has sufficient information to address them. 44. In sum, the evidence showed that Student has significant needs in areas of daily living skills such as hygiene, handling money, and self-advocacy, and that it was appropriate for Student’s IEPs to address those needs during his junior and senior years. Horizon was either aware of these needs when his IEPs were written or would and should have been aware of them if it had adequately measured his skills. But Horizon’s attempts to address those needs have been inadequate; Horizon either provided no goals or services, or inadequate goals or services, in those areas. Horizon’s failure to adequately investigate and ameliorate Student’s deficits in daily living skills left him struggling in those areas, cost him significant educational benefit, and denied him a FAPE in both his junior and senior years up to the date of hearing. 45. Several of Student’s academic goals in his April 2010 and April 2011 IEPs were quite practical, and if properly written and implemented could have assisted Student in at least some of the preparatory aspects of seeking employment. Based upon their practical nature, Horizon argues that all Student’s academic goals also functioned as vocational and transitional goals, while Student points out that only one of them (the resume goal) was checked as a transition goal in the appropriate box on the form in 2010, and all of them were labeled transition goals in 2011 no matter how traditionally academic they were. However, the labeling of Student’s goals is not as important as whether they adequately served his vocational needs, and some of them did not. 46. Student’s April 2010 IEP contained a writing goal with practical application: That Student complete two legible job applications, proofreading and indicating capitalization, punctuation and spelling with 95 percent accuracy in three of four trials. It is not clear where these measurements originated. They had nothing to do with the goal’s baseline, which was simply that Student “can write a multiple paragraph essay,” a statement that provides no indication of the level of difficulty at which he could perform. The same baseline was attached to another writing goal with the same flaws: it required that he complete a resume and write a cover letter for a job of interest with 95 percent accuracy in two of three trials. 47. Student’s April 2011 IEP also contains practical goals that reveal similar flaws. For example, his language goal states as a baseline that he “is currently using a venn diagram to assist him in breaking down decisions.” The related goal proposes that he “be able to independently use a visual diagram to make a multiple step decision” in three out of four trials with 80 percent accuracy. There is no way to tell from the baseline how far Student was from accomplishing this goal when it was written, or what level of difficulty a multiple step decision might entail. 48. Since Horizon will be ordered to rewrite Student’s goals as part of the relief granted here, it is unnecessary to address every goal or decide which is a transitional goal and which is not. It is enough to determine that the goals in his April 2010 and April 2011 IEPs that were most closely related to his vocational needs were vague and immeasurable. The goals described above thus deprived Student of adequate vocational goals and adequate measures of his progress, caused him substantial educational loss, and denied him a FAPE during his junior and senior years up to the date of hearing. 49. Student’s 2010 IEP committed Horizon to the delivery of a career awareness course and a mock job, both of which were to begin on August 23, 2010, the start of Student’s junior year. Ms. Darling was to be Student’s teacher and also administer the mock job, which was in her office. However, neither the career awareness course nor the mock job was delivered in the fall semester. Ms. Darling’s schedule required that she teach career awareness only in the spring semester. For that reason, she discouraged Mother from enrolling Student in the only similar class given in the fall of 2010, a class on the consequences of turning 18, on the ground that Student was not yet 18. Neither Ms. Darling nor anyone else at Horizon provided Student any career awareness instruction or mock job during the first semester of SY 2010-2011. Although Ms. Darling was assigned as Student’s transition teacher in May 2010, she did not actually meet him until January 2011 and did not begin instructing him until February 2011. Ms. Darling testified that the reason for the delay was simply that the transition services were set up that way; her career awareness course did not begin until the second semester. 50. In the spring semester of Student’s junior year, Ms. Darling delivered her career awareness course to Student at Horizon’s Sunrise facility in Roseville, which required that Mother drive Student across the Sacramento metropolitan area and wait for him. Ms. Darling also provided Student a mock job in her office, from 10:00 a.m. to 11:30 a.m. on Wednesdays, during which Student was to file and shred papers, occasionally answer the door and learn how to answer the telephone. The location of the mock job was convenient for Ms. Darling but not for Student, and its emphasis on office work was unrelated to any of Student’s interests or aspirations. 51. Ms. Darling testified that she made up for the lack of career awareness training in the fall by dedicating enough time to it in the spring that the total hours spent equaled more than two semesters of the course. Based on that testimony, Horizon now argues that its failure to deliver the course in the fall should be regarded as harmless. However, that delay was a substantial change in Student’s IEP, which by law had to be made by the IEP team unless the parent agreed otherwise, or by a written agreement between the LEA and the parent of which the IEP team was then notified. Here, those procedures were not followed. Ms. Darling delayed both the course and the job on her own, thus depriving Mother of an opportunity to protest the delay to the IEP team and the team the opportunity to weigh the decision. 52. Moreover, Ms. Darling made up the time required for teaching career awareness only at the expense of Student’s mock job. She testified that during the entire spring semester he introduced himself once to the staff, spent only about one half hour shredding documents and one-half hour filing, and occasionally answered the door. Student did not answer actual phone calls; he participated in simulations of calls. The rest of his time was consumed by instruction. Ms. Darling admitted that a “substantial” amount of Student’s mock job time was used for career awareness instruction; simple subtraction suggests that most of it was used for that purpose. 53. Horizon’s semester-long delay in delivering Student’s career awareness instruction and his mock job was therefore far from harmless. Ms. Darling’s unilateral decision to delay the course and the mock job deprived Student of those learning experiences for six months, during which he was interested in getting a job. And when the career awareness course was finally delivered, much of it was given during the hours set aside for Student’s mock job. This was a material departure from the terms of Student’s April 2010 IEP, which denied him significant educational benefit, and deprived him of a FAPE during both the fall and spring semesters of his junior year. 54. When appropriate a transition plan must include substantial efforts to facilitate real-world employment and other community experiences for the eligible student. Both were appropriate in this case. 55. In teaching Student career awareness, Ms. Darling required him to complete many simulated exercises such as making and answering telephone calls, writing resumes, filling out job applications, writing job inquiries, writing checks and depositing them in a mock bank, and participating in interviews.5 None of those activities is challenged or criticized here. Simulation and practical exercises are recognized teaching techniques that can usefully precede, augment, and prepare a student for real-world experiences. However, they cannot wholly substitute for those experiences. 56. Mr. Stein persuasively explained why a mock job or a simulation on campus is not the same as a real employment experience.6 In Student’s mock job he was in a safe and familiar environment and could expect, at minimum, a helpful and positive response from his teacher and the opportunity to repeat exercises to improve his performance. Real employment, on the other hand, does not guarantee such a positive response or allow for that type of practice. Real employment would require Student to interact with strangers who have interests other than his education and training, and who will do and say unexpected things. Every real workplace has invisible politics that must be understood and navigated by an employee. Real employment is not the safe world of on-campus rehearsal with a teacher or fellow students. 57. The Superintendent of Public Instruction funds and oversees Project Workability, a program established by statute that is intended to provide special education students, during their transitions, with multiple employment options, adequate information for choosing a job or career path, and a variety of vocational experiences. LEAs and counties statewide operate workability programs in which disabled students are placed with local employers to obtain real-world job experience, with supervision by workability program staff. Throughout the time examined here, Mother requested that Horizon obtain a real job for Student through a workability program. 5 Student’s RSP teacher also provided some of these exercises. 6 Ms. Youtsey testified that Horizon’s Roseville facility looks like a business office, but from Student’s perspective it was primarily a campus where he received career awareness training and speech and language therapy, and related to other students. His experiences there were educational; the mock job was only a minor part of them. As Mr. Stein explained, its familiar and comforting atmosphere was far different from employment in the real world. 59. At the end of April 2011, after a year of requests from Mother, Horizon explored whether Student could obtain real-world job experience through a workability program either in Western Placer Unified School District (Western Placer) or EGUSD. Ms. Darling and Ms. Youtsey contacted the workability program of EGUSD directly, and also through the Western Placer workability project, to explore whether Student could obtain a placement through EGUSD’s program. They then informed Mother of those contacts. 60. Mother is well-connected in the special education community in Elk Grove as the result of her years of participation in Student’s earlier education there, and her service as Vice Chair and then Chair of the Community Advisory Committee of Elk Grove’s Special Education Local Plan Area. Through her connections and efforts, Mother (with Horizon’s assistance) persuaded the Elk Grove workability project to find a placement for student in summer 2011, notwithstanding its usual restrictions to students with lower cognitive capacity who are not on a diploma track and to students in EGUSD. Joann Smith, the project manager of EGUSD’s workability project, testified that in May 2011 the project placed Student in a summer job at Henry’s Market in Elk Grove, which became Sprouts Market shortly thereafter. Student was assigned a job coach and given 12 to 14 hours of coaching, and worked at Sprouts a total of 48 hours between May 23 and June 20, 2011. Scott Kahler, the manager of Sprouts, testified that in his job Student bagged groceries, helped customers to their cars with groceries, collected carts, restocked shelves and cleaned up, and was generally successful in the job. 61. Student’s Aunt owns the Blue Sky Spa in Elk Grove. Independently of Horizon, Mother got Student a job there as a spa attendant during the summer of 2010. Student cleaned rooms, greeted customers, and did the laundry. Student was successful in the job. 63. Horizon now claims credit for Student’s placements at the Blue Sky Spa and the Elitha Donner library, asserting that Mother voluntarily assumed responsibilities for Student’s transition program by enrolling in its homeschool independent study program, and was a “partner” in the delivery of transition services. The evidence did not support Horizon’s claim. As principal teacher in the independent study program, Mother taught Student his general education curriculum for four hours a day during the week. Roughly every 20 school days Vicki Hilliard, a general education teacher at Horizon, met Mother and Student in the home or elsewhere to review Student’s progress. Ms. Hilliard furnished Student’s curriculum according to specifications in the master agreement between Horizon and Mother. 64. Mother testified that she had no special education duties in Horizon’s homeschool independent study program. She reported to Ms. Hilliard on Student’s academic performance, but not his functional levels. Her testimony was confirmed by the fact that her work was supervised by a general education teacher only. 65. Ms. Darling testified that in the independent study program parents are the primary teachers, but “the kids come to us for services that are outlined in their IEP.” She also testified that Horizon, not the parent, is responsible for special education services. Ms. Blackburn testified that responsibility for those roles would depend upon the student’s IEP, but none of the goals in Student’s IEPs specifies that Mother is responsible for implementation. Ms. Youtsey testified that the roles would be governed by the master agreement between Mother and Horizon, but did not know what that agreement contained. The agreement itself was not introduced in evidence, and thus there was no evidence that Mother was responsible for any transition program duties. 66. The preponderance of evidence therefore showed that, in the independent study program, Mother was the primary teacher of general education curriculum but did not have responsibilities for special education, which includes Student’s transition plan. 67. Horizon’s argument implies that whether or not Mother had contractual duties with respect to Student’s transition plan, she voluntarily undertook to implement parts of it and therefore acted essentially as Horizon’s agent. Horizon conflates its general education curriculum with its transition plan by claiming that Mother took responsibility for such matters as consumer math and consumer life skills. However practical those courses were, they were nonetheless general education courses for which Mother had assumed responsibility, supervised by a general education teacher. 68. Throughout the relevant time, Mother became increasingly concerned that Horizon was not teaching Student to generalize in real life the skills he was practicing with Ms. Darling. She observed; for example, that Student may have been able to write a check in a simulation, but could not do so in the real world. He could not shop at a grocery store. He could fill out a simulated job application, but could not perform that or other job-seeking tasks outside of Horizon. So Mother decided to teach Student herself to generalize some of those skills, and began teaching him how to perform various everyday tasks. She took him to grocery stores, department stores, and the bank, where she helped him open an account. Because of her efforts, Student now can withdraw money with an ATM card and use the card at a store. However, the evidence showed that Mother made these efforts as a substitute for Horizon, not as its agent. She undertook these responsibilities independently, as a concerned parent, only because Horizon was not discharging them. There was no evidence that Horizon supervised, monitored, or even knew of these activities when they occurred. Horizon therefore cannot fairly claim that Mother’s efforts to generalize Student’s skills constituted a part of its delivery of services under Student’s transition plan. 69. The IDEA does not require that a transition plan include any set number of vocational and other community experiences; the adequacy of a transition plan and its implementation depends upon the facts of each case. In this matter, Horizon did not try to help Student obtain real work through a workability program or otherwise for an entire year, during which Student passed his 17th birthday. Horizon’s efforts did not begin until near the end of April, 2011, and the job had been secured by the time of the IEP meeting on May 19, 2011. The job itself lasted less than a month. 7 Community service was a general education requirement and not part of Student’s transition plan. 8 Horizon obtained the attendance of a representative from the regional center at an IEP team meeting for Student in October 2011, but the representative informed the team that the regional center cannot serve Student until he graduates. The Department of Rehabilitation cannot serve him until he turns 18. Mother was aware of both these possibilities before Horizon mentioned them. Student has been receiving services from the regional center on and off since he was four years old. 9 Ms. Darling testified that she had plans in the future to expose Student to a variety of community experiences. Those plans are not relevant here, as this Decision only evaluates Horizon’s conduct up to the time of hearing. 71. The evidence set forth above showed that Horizon’s transition goals for Student failed to adequately address his needs for independent living and job-related skills. It also showed that, with the exception of its assistance in obtaining Student’s job at Sprouts Market, Horizon also failed to provide Student adequate vocational and other community experiences. As a result of those failures, Student suffered significant educational loss in acquiring needed transitional skills and work and community experiences. Those failures therefore denied him a FAPE during his junior and senior years up to the date of hearing. 72. An ALJ has broad discretion to remedy a denial of FAPE and may, among other things, order an LEA to provide compensatory education to the student injured. Any such award must be based on a highly individualized determination and must be reasonably calculated to provide the educational benefits that likely would have accrued from the special education and services the LEA should have provided in the first place. In an appropriate case, an ALJ may grant relief that extends past graduation as long as the relief remedies injuries sustained while the student was eligible for special education and related services. 73. Mr. Stein persuasively testified that a sound transition plan begins with proper assessments. As shown above, far too little is known about Student’s current independent living and vocational skills to design such a plan. Horizon will therefore be ordered to employ a qualified independent assessor who shall promptly conduct a full assessment of Student’s levels of functional skills, including but not limited to his independent living and vocational skills. The assessment shall be done in accordance with CDE’s best practices and shall emphasize measurement of Student’s actual skills in the larger community and off campus. Upon receipt of the assessment results, Horizon shall conduct an IEP meeting (which shall include the independent assessor), shall revise Student’s transition goals to comport with the assessment results, and shall determine appropriate compensatory transition services consistent with this Decision. Those goals and services shall prominently include measurements of Student’s ability to generalize his skills off campus and in the community, and actual experiences in the community. Those goals and services shall be implemented past Student’s graduation if reasonably necessary, but for no longer than 17 months from the date of this Order. 74. It is already known that Student cannot use public transportation. Horizon will therefore be ordered, without waiting for the results of the functional assessment, to provide Student an adult guide trained and experienced in furnishing mobility assistance to disabled students. As suggested by Mr. Stein, the guide shall teach Student to use the Elk Grove bus system, including its schedule, but shall also show Student which bus to catch, how and where to get on and off it, how to pay for his ride, and how to deal with unexpected developments. The guide shall emphasize practical training in the field by accompanying Student on bus rides around the community no fewer than four times, but more if necessary, until he is able to ride the bus on his own and successfully travel to and from the places he frequents. This service shall be implemented past Student’s graduation if necessary, but for no longer than 15 months from the date of this Decision, the approximate period in which Horizon failed to address Student’s mobility needs during the time at issue. The decision whether to cease the service earlier, if appropriate, shall be made by Mother. 75. Horizon need not await the assessment results to resume its efforts to provide Student adequate vocational and other community-based experiences. Horizon shall therefore be ordered to provide a job coach for Student who has approximately the same qualifications as the job coaches provided by the Elk Grove workability project. The job coach shall meet with Student and Mother at least weekly, and shall engage in his or her best efforts to locate appropriate employment opportunities in Elk Grove for Student, assist him in the application process, train him in interviewing, facilitate his job applications, and assist and supervise him in the performance of any job thus obtained. This service shall be implemented past graduation, but for no longer than 14 months, the approximate period in which Horizon failed to address Student’s vocational needs in the community during the time at issue. The decision whether to cease the service earlier, if appropriate, shall be made by Mother. 76. To compensate Student for the difficulties of the many automobile trips he was required to take in the absence of adequate mobility training, all services ordered in this Decision shall be delivered in Elk Grove. (1) is designed within a results-oriented process that is focused on improving the academic and functional achievement of the individual with exceptional needs to facilitate the movement of the pupil from school to post-school activities, including postsecondary education, vocational education, integrated employment, including supported employment, continuing and adult education, adult services, independent living, or community participation; (2) is based upon the individual needs of the pupil, taking into account the strengths, preferences, and interests of the pupil, and (3) includes instruction, related services, community experiences, the development of employment and other post-school adult living objectives, and, if appropriate, acquisition of daily living skills and provision of a functional vocational evaluation. 8. An LEA is not required to guarantee that a student with a transition plan actually obtains a job in the community. However, in an appropriate case, an LEA must, as a transition service, “facilitate the movement” of a disabled student to “integrated employment, including supported employment … .” (20 U.S.C. § 1401(34); Ed. Code, § 56345.1, subd. (a).) Neither statutes nor regulations specify how frequently during a student’s transition plan an LEA must discharge this duty, or how many employment opportunities it must encourage or attempt to make available, or what variety those opportunities must involve. 10. While the duty to provide multiple employment options and a variety of vocational experiences is not imposed directly upon LEAs, the Legislature’s requirement that the Superintendent make such a variety of opportunities available demonstrates that one clear purpose of special education transition requirements is to expose a student to a variety of employment options so that he or she may make well-informed career choices. It follows that exposure to a single job choice does not necessarily discharge an LEA’s responsibility to facilitate a student’s movement toward employment. 12. Horizon argues, without citing authority, that its mock job and some other instruction in Ms. Darling’s office were the functional equivalent of a job in the real world, and that Horizon’s Roseville campus is a “community” within the meaning of the IDEA’s requirement of community employment and experiences. But the IDEA must be construed in light of its purpose. (Chapman v. Houston Welfare Rights Organization (1979) 441 U.S. 600, 608.) It is unlikely that Congress, in fashioning a plan to ease the transition of disabled students from the campus to the outside world (which it designated the “community”), meant to include the campus itself in that outside world. Such an interpretation would mean that the campus would be at both ends of the transition. 13. Although the IDEA does not define the “community” in which a transition plan must seek to provide vocational and other experiences, related provisions of the Act suggest that “community” means the external world, not the campus. The same 1997 amendments to the IDEA that expanded the definitions of transition plans and services also required the Secretary of Education to “ensure that each recipient of assistance under this Act makes positive efforts to employ and advance in employment qualified individuals with disabilities in programs assisted under this Act.” (Pub.L. No. 105-17, § 101(c)(3), 111 Stat. 37, 39 (1997). The 1997 amendments included a declaration of Congressional purpose that “[i]mproving educational results for children with disabilities is an essential element of our national policy of ensuring equality of opportunity, full participation, independent living, and economic self-sufficiency for individuals with disabilities.” (Id. § 101(c)(1), 111 Stat. at 38.) To that end, Congress added to state educational agencies’ advisory panels, which are composed of “individuals involved in, or concerned with, the education of children with disabilities,” the new requirement that the panels include “at least one representative of a vocational, community, or business organization concerned with the provision of transition services to children with disabilities … .” (20 U.S.C. § 1401(21)(B), (B)(ix).) Like the California Legislature’s creation of Project Workability, these federal provisions seek to ensure that disabled students have a variety of vocational experiences, and they all indicate a purpose to place disabled students with transition plans in the external world, not in a simulation conducted by teachers on campus. 14. The few decisions that exist determine that on-campus simulated employment is not an adequate substitute for experience in the real world. In Dracut School Comm. v. Bureau of Special Education Appeals (D.Mass. 2010) 737 F.Supp.2d 35, 53, a district court upheld a hearing officer’s determination that a school district had failed to provide “community experiences” because his internship was in the school credit union, not off school grounds. In Lessard v. Wilton Lyndeborough Coop. School Dist. (1st Cir. 2008) 518 F.3d 18, 29-30, the Court of Appeals upheld a district court’s determination that a transition plan provided adequate community-based experiences because it provided for monthly field trips into the community. In Rosinsky v. Green Bay Area School Dist. (E.D.Wis. 2009) 667 F.Supp.2d 964, 991, the district court upheld a hearing officer’s finding that a transition plan furnished sufficient community experiences because the student was given a 15-20 hour a week part-time job in the community that included customer interaction. And in East Hartford Board of Educ. (SEA Conn. 2008) 50 IDELR 240, 108 LRP 46228, a hearing officer found a transition plan deficient for lack of community involvement. The program provided 1.75 hours a week of “post secondary employment” in which the student was taught skills such as check writing, banking, paying taxes, ordering at a restaurant, and self-advocacy, but it was held inadequate because it was taught by special education staff on the school campus. 15. Thus the congressional purpose, related provisions of the IDEA and state law, and decisional law require the rejection of Horizon’s contention that its campus is the “community” for the purpose of transition plans. A holding that Student’s activities in Ms. Darling’s office were the equivalent of real-world employment would be particularly inappropriate on the facts presented here. As set forth in Factual Findings 50 and 56, the mock job created in Ms. Darling’s office was convenient for her but did not accord with any of Student’s interests, needs, or future plans. It placed him in an artificial protected setting with his teacher in which he could safely practice skills by simulation but could not actually employ them in the uncertainty of the real world, as demonstrated by the fact that he acquired numerous skills that he cannot generalize in the outside community. Issues 1 and 2: Did Horizon deny Student a FAPE during the SYs 2010-2011 and 2011-2012 by failing to offer an appropriate transition program and failing to develop appropriate and measurable transition goals? 18. As set forth in Factual Findings 1-3 and 5-71, and Legal Conclusions 1-17, during the school years at issue Horizon denied Student a FAPE by failing to design an appropriate transition program and failing to develop appropriate and measurable transition goals. For the most part, Horizon’s goals did not address Student’s need for training in daily living skills at all. When a goal did address such a need, as with the 2011 mobility goal, it failed to address all his needs. The goals that addressed Student’s vocational needs were frequently vague and immeasurable, and based on obsolete information set forth in baselines that had little to do with the goals attached to them. The goals themselves did not provide for adequate measurements of his progress, or provide for community experiences. Issues 3 and 4: Did Horizon deny Student a FAPE during the SYs 2010-2011 and 2011-2012 by failing to address Student’s transition needs, including his mobility needs? 19. As set forth in Factual Findings 1-3 and 5-71, and Legal Conclusions 1-17, during the school years at issue Horizon denied Student a FAPE by failing to adequately address his transitional needs, including mobility, daily living skills, and vocational and community experiences. Horizon’s attention to Student’s mobility needs was tardy and incomplete. It did not address his needs for training in other daily living skills. Its efforts at vocational training were confined to on-campus simulations, which were useful but did not substitute for real-world experience and left Student with skills that he could demonstrate on campus but not in the real world. Except for the job at Sprouts Market, Horizon’s efforts also left Student without exposure to vocational and other community experiences. 1. Horizon shall promptly employ a qualified independent assessor who shall conduct a full assessment of Student’s levels of functional skills, consistent with CDE’s best practices, including but not limited to his independent living and vocational skills. The assessor shall emphasize measurement of Student’s actual skills in the outside community and off campus. Horizon shall then conduct an IEP meeting within the statutory time limit, which shall include the independent assessor, to discuss the assessment results. At that meeting, Horizon shall revise Student’s transition goals and services so that they are consistent with the assessment results, and shall determine and offer appropriate compensatory transition services consistent with this Decision. Those goals and services shall prominently include periodic measurements of Student’s ability to generalize his skills off campus and in the community, and actual experiences in the community. The goals and services shall be implemented past Student’s graduation if reasonably necessary, but for no longer than 17 months from the date of this Order. 2. Without waiting for the results of the functional assessment ordered above, Horizon shall promptly provide Student an adult guide trained and experienced in furnishing mobility assistance to disabled students. The guide shall teach Student to use the Elk Grove bus system, including its schedule, and shall show Student which bus to catch, how and where to get on and off it, how to pay for his ride, and how to deal with unexpected developments. The guide shall emphasize practical training by accompanying Student on bus rides around the community no fewer than four times, but more if necessary, until Student is able to ride the bus on his own and successfully travel to and from the places he frequents. This service shall be implemented past Student’s graduation if necessary but for no longer than 15 months from the date of this Order. The decision whether to cease the service earlier, if appropriate, shall be made by Mother. 3. Without waiting for the results of the functional assessment ordered above, Horizon shall promptly provide Student a job coach having approximately the same qualifications as the job coaches provided by the Elk Grove workability project. The job coach shall meet with Student and Mother at least weekly, and shall engage in his or her best efforts to locate appropriate employment opportunities in Elk Grove for Student, assist him in the application process, train him in interviewing, facilitate his job applications, and assist and supervise him in the performance of any job thus obtained. This service shall be implemented past graduation if necessary but for no longer than 14 months from the date of this Order. The decision whether to cease the service earlier, if appropriate, shall be made by Mother. 4. The requirements of this Order may be altered by written agreement of the parties, including by an IEP signed and agreed to by Mother. 5. All services ordered here shall be delivered in Elk Grove. Pursuant to California Education Code section56507, subdivision (d), the hearing Decision must indicate the extent to which each party has prevailed on each issue heard and decided. Here, Student prevailed on all issues.